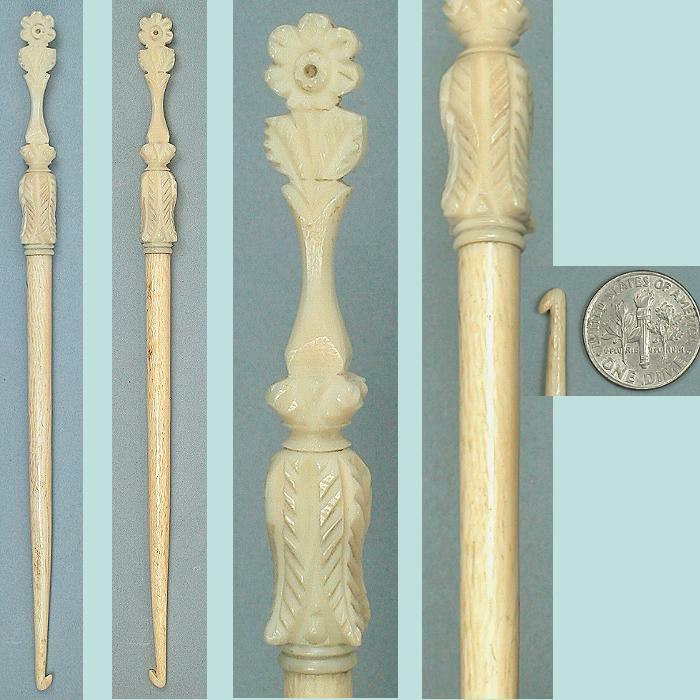 This pretty little crochet hook is carved of real ivory and the top is carved with a nicely detailed flower. The condition is excellent with no chips, cracks or other damage and it was purchased in England. It measures almost 6" long and has nice ivory grain and patina. The hook is about the same size as an American size D (3.00 mm). 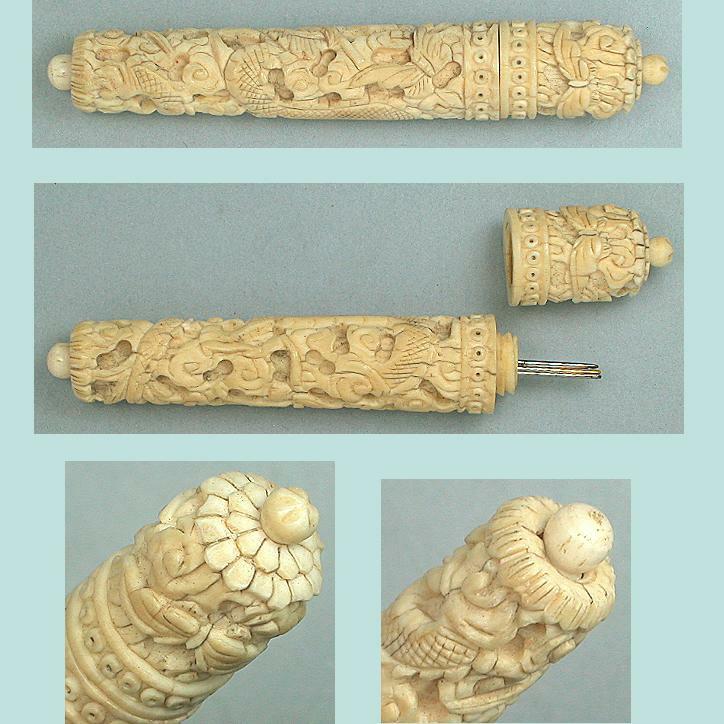 A couple of ivory sewing tools with this same flower motif are shown on p. 88 of Nerylla Taunton's book "Antique Needlework Tools and Embroideries".